BERLIN, Md. – For the past two years activists on the eastern shore have been working around the clock. To get the healthy community air act a bill that would assess and identify pollutants coming from large animal operations, passed by Maryland lawmakers. “All citizens of Maryland deserves to know what’s in the air they’re breathing and they need to have clean healthy air to breathe,” said Assateague Coastal Trust Executive Director Kathy Phillips. 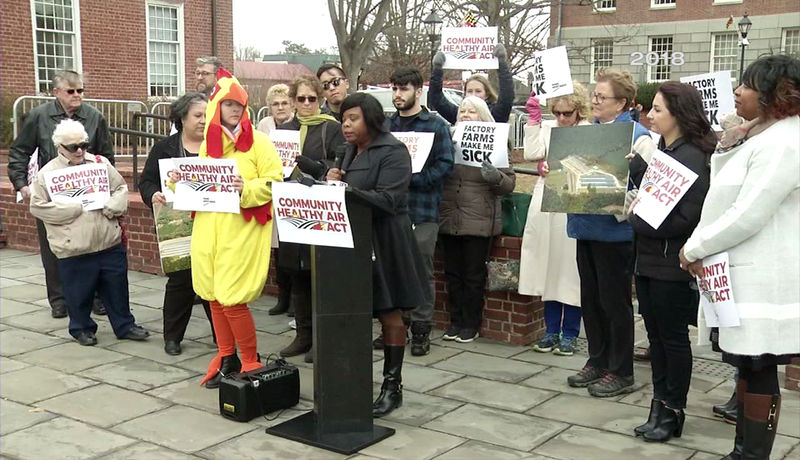 Activists say the push for the bill to pass is even more critical following the announcement from the Maryland Department of Environment that they’d be partnering with the Delmarva Poultry Industry and the Keith Campbell Foundation to start monitoring the air near poultry houses to find out exactly what’s in it. “There’s really no accountability, and we need our government to do that,” said Moms Across America Eastern Shore founder, Marghi Barnes. They say, the proposed air study lacks a number of crucial details. Claiming that it lacks a recommendation to lawmakers, a health-impact assessment, and that it wouldn’t test the direct emissions of the chicken houses. All things they say, the healthy air act, would do. “That’s why we wanted air monitors here on the lower eastern shore so we know what is happening in our own community,” said Barnes. “They are proposing to just study the ambient air which is a little bit different then a very comprehensive study of that,” said Phillips. And although the fate of the Community Healthy Air Act is still uncertain, activists say they’ll continue to fight, for clean air for generations to come. “I’m here fighting for not just my kid, I’m here fighting for all children of Delmarva,” said Concerned Citizens against industrial CAFOs Co-Founder Monica Brooks.